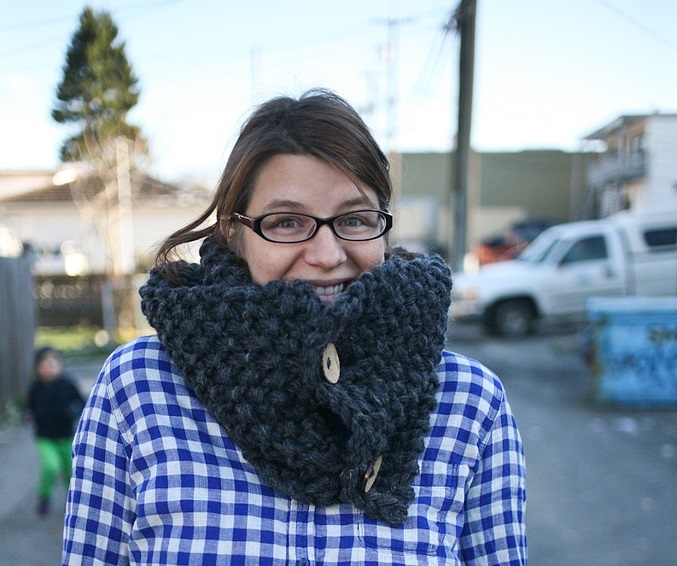 So with only a few days left to finish (or start) the hand knit gift we have an answer. Last year we put out this pattern for a big chunky cowl made with the country roving, this year we have a similar pattern. It is a warm, lofty, and super cozy scarf, done in seed stitch, you can sew the ends together to make an infinity scarf, or put two buttons on it! Either way, this will knit up super fast and will wow anyone who receives it! k1, p1 repeat to end of row. Repeat this row until your scarf is to the desired length or until you have just enough yarn to cast off. (the above pictured scarf used the full ball). Attach buttons or sew the two ends together, or leave open! Now I want to own 20mm needles:) Do you think 19mm would work because the US sites and needles seem to come in 19mm rather the 20mm. Love it! It looks fantastic and cozy and so fast to knit up!